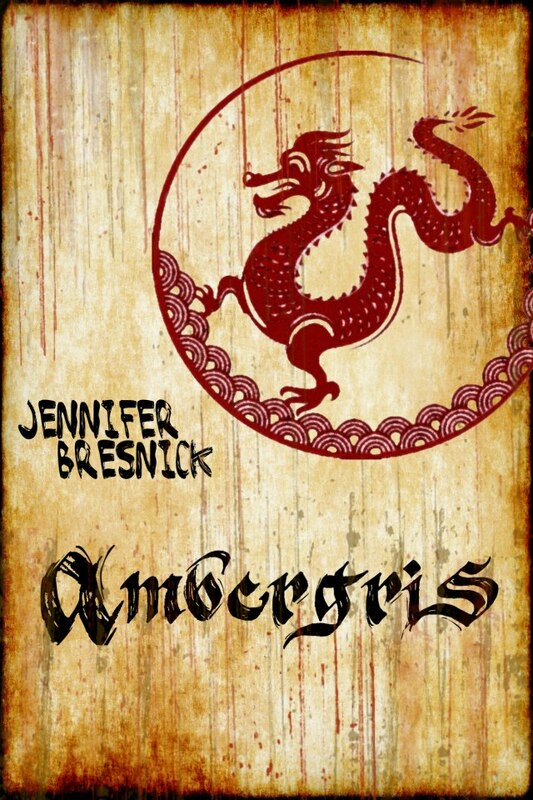 Note: As I’m still recovering from a productive but exhausting trip, I’m taking the tiniest of shortcuts by providing you with something pre-written: the first segment of my as-yet-unpublished YA adventure novel called Ambergris. Let me know if you enjoy it, and maybe I’ll actually make it presentable someday. They called it the golden hour. Once every season, after the summer sun had set and the sky had gone dark late on a moonless night, an immense crowd of bobbing fishing boats, some as big as houses, others too small to hold more than a half-grown child, would push off from the shore and take up residence in the wide, smooth shipping lanes beyond the bay. There would be no laughter, no idle chat; no scraping music from the sheep gut strings of a bambaashi to pass the time. There was nothing to see besides the shadow of the ocean, its oily surface glimmering with the faint reflection of the stars, and nothing to hear except the water’s quiet whisper slapping against the cobbled wooden hulls of the gathered fleet, waiting in tense, total silence. Dalan knew what would happen next. The boats would pair up, each captain finding his brother or cousin or son among the multitude, and silently throw a sturdy vine rope from one boat to the next. A special lantern would be lit and strung across to hang over the water, its light shining downward into the depths, and then the squid would come. First there would be a splash, and then maybe two as the creatures investigated the lights, and then all of a sudden the surface of the sea would erupt in a roiling frenzy as the fishermen dipped their bait hooks into the water, spearing the hungry, migrating squid on the sharpened points, tossing them wriggling into troughs of seawater on the deck. Now there was shouting, and singing and mirth as the men kept score against one another, or dodged squirting packets of ink from the enraged animals, or boasted about what they would do with the coin from selling their catch. But they didn’t let their joking interfere with the work: they didn’t call it the golden hour for nothing. All too soon, the squid would move on, growing wise to the game or simply trading feasting on fish guts for the pleasure of spawning, which was the real reason they swept past the sleepy village of Yemau every year. But the squid would attract other fish that were good to eat, longfins and golden butter bellies looking to sneak a mouthful of newly-hatched squidlings, and the boats would be there to catch them, too. The butter bellies would bring crank fish, and the milky clouds of crank fish eggs would attract huge blackstripes and meaty warthogs and swift shoals of leaping fliers to the coast, each feeding off each other, on and on throughout the mild, wet winter until the squid returned the following summer and the cycle started all over again. Dalan hated every minute of it. Covered in dark, gloopy squid ink or scraping entrails from under his fingernails, he always stank of the ocean, and always had fish scales stuck in his hair from getting tangled in torn nets as he repaired them, and deep, ugly slashes on his hands from bending broken hooks back into shape. There wasn’t a girl in the village who would come within a mile of a fisherman’s son if she could help it, partially because of the stench, but mostly because there was nothing interesting to talk about with someone who spent most of his time staring blankly into the featureless depths of the sea. It was a joke among the women that a fisher’s boy only learned to kiss by practicing on his catch, since no one else would have him. That wasn’t really fair, in Dalan’s opinion. He had never kissed a fish. That was disgusting. But then again, it wasn’t as if he had ever kissed a girl, either. “Yes, sir,” Dalan sighed, trading his heavy fishing hook for a thin, bone-handled knife as the boats headed back in to shore. “That blade is sharper than you’ll ever be,” his father had told him when he was teaching his son to fillet. Dalan had hardly been any bigger than the fifty pound blackstripes they had been catching that day, and had been on the boat from before dawn to after dusk every day of his life since. Despite what his mother told him, and what his father believed, and what his uncles and cousins and brothers all wanted him to think, it wasn’t much of a life, he thought as he grabbed a squirming squid from the tank and cut off its head without a second thought. Certainly they made enough money to keep their large family scraping by – he would never understand the inlanders’ unquenchable appetite for seafood, since he rarely got to eat anything else – and certainly it was a stable vocation. There would always be more fish in the sea, and he would spend his entire life trying to catch them. But there were other things out there, too, and at sixteen years old, Dalan was wild to explore them. He could almost hear the island city of Zhaonel calling his name, far out over the horizon. True, there were fishermen there, and plenty of them. But Zhaonel had imia hunters, too, and the excitement and glory of such a dangerous, envious occupation was something that was sorely missing from his repetitive, laborious existence. “What a catch you’ve had tonight,” his mother cried, meeting them at the dock as she did nearly every time they returned from the water, Dalan’s little twin sisters in tow and one swaddled in a cloth cocoon on her back. “Six – no, seven baskets full? Why, that’ll keep us in clover for the next two months,” she beamed, her husband kissing her heartily as he stepped off the boat. “Why aren’t you lot tucked up in bed?” he asked as his daughters ran to hug him, squealing in delight as he lifted them up and spun them around, their gleaming black pigtails flying, dizzy and giggling as they came back to earth. “But that’s not fair,” he protested automatically. It didn’t matter that dawn was approaching, the first glint of the sun rising over the open sea, or that he was swaying on his feet with exhaustion, and would like nothing more than to tumble into his hammock after cleaning their entire catch by himself on the way back to port. It was the principle of the thing. The men would stay up for hours yet, drinking their sour bintberry beer, celebrating their good fortune, and telling stories that no one really believed, and he wasn’t going to let himself be treated like he was still too much of a child to join them if he wanted. “Bed,” his mother said firmly, spinning him around as easily as if he was on wheels, and his shoulders sagged with defeat as she marched him towards their house, a rambling bamboo construction poised on sturdy timber stilts far up the beach, clustered among the other sea-going families’ dwellings, separated from the main town by a seawall that protected the more fortunate from high tides and floods. “Shut up,” he fumed, punching Tankal in the arm as hard as he could, but it hardly made his older brother flinch. Tankal was a good deal stronger than he was, but he was too slow to avoid Dalan’s quick jabs. “Yeah, shut up,” his little sisters echoed in unison, sticking out their tongues at Tankal and making faces. He was the eldest of the seven of them, and a bit of a bully. The girls would never have dared to be so bold without their parents’ protection, since they were sure to get a spider in their breakfast for the trouble most of the time. Dalan just rolled his eyes and walked ahead of his parents as quickly as he could. “Typical,” he muttered to himself as he plodded through the soft sand, shoving his bare feet into a pair of house shoes from the line of slippers that lay neatly at the front door. “Those are mine,” Bekafi said as he navigated his way through the darkened common room, making him jump. “They have flowers on them,” she continued, moving her candle from behind her sewing box and scattering the shadows to peer at her commandeered slippers, which she had embroidered with roses and lilies. “Did you catch a lot?” his sister asked, handing him her half-empty cup of tea. He certainly did. His sister was only a year older than he was, and she was just as strong and able-bodied, quick to learn and as sharp as the needles she used to make clothes for their growing siblings. She would make an excellent fisher, and an even better captain. But she was a woman, and women never left the shore, not once in their entire lives. The priestesses said it was for their own protection, and the safety of the men they loved. Gothi Ghaihir, the sea god who ruled their lives, coveted them with a fearsome desire, and would smash a ship to kindling just to bring a woman down to his watery realm. It had been that way for a thousand years, and it was unlikely to change just because Bekafi was bored with making dresses. “You sound like Memma,” he said accusingly, and they both made exactly the same face. She didn’t have to say it twice, and Dalan tiptoed away to his room. His eyes felt as heavy as lead, and his muscles were starting to seize up after the long night of labor, but he put his sleepiness aside for a few more minutes to reach up to dig around in his trunk of clothes to find the crumpled poster he had surreptitiously pulled off the notice board in the town square two years ago. The cheap paper was rubbing away at the seams, and the drawings of the hunter and his quarry were crude at best – the artist had gotten all of the ship’s sails wrong, for one thing – but the simple illustration of man and beast had fueled a hundred nights of adventurous dreaming. The imia lived far out in the sea, in the flooded caves of hollow islands and in the forests that took root in the lush soil of extinguished volcanos that dotted the uncharted ocean in long, spread out chains to the east of Zhaonel. Some people called them sea serpents; others said they were descended from the fiery dragon which Gothi Ghaihir rode across the face of the earth to survey his watery realm. But in Zhaonel, they were known as imia, and Dalan trusted that the Zhaoni knew what they were talking about when it came to the fearsome creatures that ruled both sky and water in places humans feared to go. All the best hunters lived in the vast metropolis, the jewel of the sunrise that attracted hundreds of young men to its temptations every year. There they vied for acceptance into the training corps, battling one another for the merest chance at becoming fabulously wealthy by catching an imia or two and selling its scales to the aristocrats of the mainland, who coveted the unbreakable shingles. Dalan had never seen one, of course, but he had heard plenty of stories of their slashing claws and golden eyes that could spot a mouse in the undergrowth from a mile away. He didn’t really trust the tales his father or uncles told, since none of them had ever traveled beyond the sight of their homeland on the horizon, but one year the magistrate’s cousin, a retired hunter, had spent the summer in town, showing the children a shard of imia scale that he had made into a dagger, harder than iron and more luminous than polished bronze. He had watched in rapt fascination as the man had thrown a thick piece of firewood up into the air and sliced it clean in two as it fell back to earth, the whisper-thin blade showing not a chip or crack. Dalan had been all of ten years old, but he had made a vow that one day he would slay his very own beast and buy a mansion far from the sea with his prize. That hadn’t happened. His father had refused to spare him for the two days it took to apply to the local office of the academy, which would send his application to Zhaonel if he passed muster. He was needed on the boat. He was needed to bring the catch to market. He was needed for making repairs to the rigging and for cleaning feathery seaweed off the hull. He was always needed. Tankal had assured him that he would never have made it beyond the first tests, anyway, and as much as he hated his brother for intentionally trying to quash his dreams, he knew it was probably the truth. He had never been particularly brawny, a necessary characteristic for those looking to wrestle a flying, spitting deathtrap to the ground, but he had the sinewy strength of someone who spent all day working with his hands, and that was not to be underestimated. Though he was rather tall for one of the compact Hohore tribe that populated the edges of the great continent of Peng Nallis, he could still climb the rigging quicker than any of his cousins – quicker than Tankal by a good minute – and slide back down as swiftly as a drop of rainwater falling from the sky, his feet thumping on the deck long before his closest rivals. That all had to count for something, didn’t it? Of course, the thought of going to Zhaonel brought with it the thought of leaving Bekafi, and he had never truly wanted to do that before. She was the only one of his siblings that he had ever felt an affinity for, even if she thought he was full of nonsense. She had told him to stick with what he knew and where he belonged. Fine words coming from someone who was tired of being a girl, he had told her once, but she had just shaken her head and looked at him sadly. She probably didn’t think he could do it, either. “But I still wanted to try,” he whispered to himself, tracing the sinuous figure of the imia on the faded page before folding the poster again and securing it deep among his possessions where prying, mocking eyes would be unlikely to find it before staring at the ceiling, deep in thought, as he drifted away to sleep.